On May 25, 1945, Corporal Takeo Kakehashi took off from Miyakonojō East Airfield as a member of the 57th Shinbu Special Attack Squadron and died in a special (suicide) attack west of Okinawa at the age of 19. He piloted an Army Hayate Type 4 Fighter (Allied code name of Frank). After his death in a special attack, he received a four-rank promotion to Second Lieutenant. He was from Okayama City and was a member of the 15th Class of the Army Youth Pilot (Rikugun Shōhi) training program. Thank you for the care that you have shown to me for a long time. I finally will go and fall for the Emperor and country. It is certainly natural for a living person to die. Still more, to what can I compare the joy of carrying out an important mission to protect the Empire and being able to live for an eternal cause? Even though I fall, I will not forget your great kindness in raising me with your love for 19 years. It is inexcusable that I was not able to show you any filial piety and to ask for your peace of mind. However, I think that my final loyalty will be filial piety, so please forgive me. There is nothing more to focus on when a military man has received once an order for a mission. Today I am full of vigor and have only an attack spirit where I will not stop until I with my Hayate fighter polished to a shine will take aim at an aircraft carrier, make a crash dive, and instantly sink it. Parents, please do not grieve at all even though I have fallen. Please say bravo, our child did well. Until the Empire wins, I believe that there will be no end of persons who will follow after us. There is no joy for me other than your being able to be happy. Please take very good care of yourselves and strive as long as possible for the country. I will not stop praying to the gods in my hope for only this. The letter comes from Terai (1977, 82). 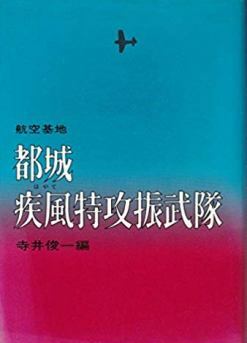 The biographical information in the first paragraph comes from Chiran Tokkō Irei Kenshō Kai (2005, 200), Osuo (2005, 199), and Terai (1977, 82). 1. On March 29, 1945, three weeks before the letter's date, the 57th Shinbu Special Attack Squadron was formed at Akeno Air Base in Ibaraki Prefecture (Osuo 2005, 199). Terai, Shunichi, ed. 1977. Kōkū Kichi Miyakonojō Hayate Tokkō Shinbutai (Miyakonojō Air Base Hayate Special Attack Shinbu Unit). Tōkyō: Genshobō.